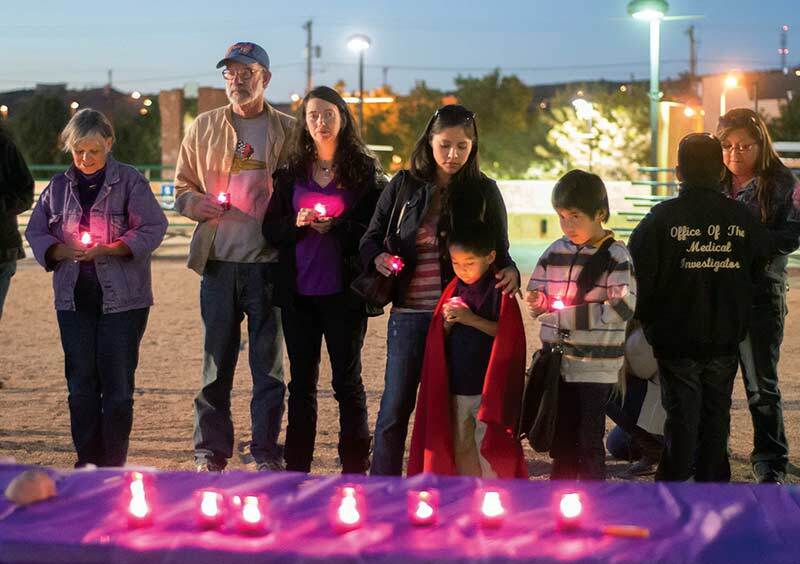 TOP:"Remember My Name" candlelight vigil participants quietly hold their lit candles on Sunday evening in Gallup. October is Domestic Violence Awareness Month. 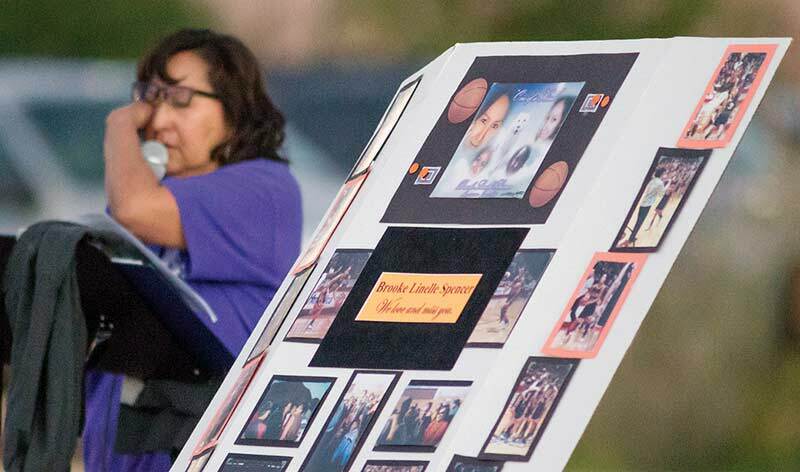 BOTTOM: LeAnn Yazzie wipes her tears away while speaking of her daughter, the late Brooke Spencer, on Sunday at the "Remember My Name" candlelight vigil in Gallup. Yazzie's daughter was killed by her ex-boyfriend in 2005 during a domestic dispute. LeAnn Yazzie still remembers vividly the day her daughter, Brooke Spencer, died at the hands of her ex-boyfriend, Philip Notah. Speaking in Gallup Sunday night at a rally against domestic violence, Yazzie, in a voice that broke down at times, related the events that led to her daughter’s death. Spencer was well known on the Navajo Reservation as a star basketball player for Gallup High School, helping lead them to the 2006 Class 5A state championship. But what few people knew is that the basketball star was involved for years in an abusive relationship with a boy that often included physical and mental abuse. The two had met while going to school at Rehoboth and had been boyfriend and girlfriend for years before both transferred to Gallup High School in their junior year. Yazzie talked about sitting down with her daughter several times and urging her to break up with Notah. She had heard from one of Spencer’s friends that he abused her and although she came home with bruises on her arms and legs occasionally, Spencer would always indicate that they were injuries she received playing either basketball or softball. On June 5, 2006, two days after the family held a dinner to celebrate her high school graduation, Yazzie remembered going to Jerry’s Cafe in Gallup along with some of Spencer’s other relatives.